Updated: Added decompiled version, the original wasn't decompilable, so I did it for you! Ah, Donut Team! I hope you're prepared for an unforgettable mod! Can we cool it on the constant Steamed Hams references in this chat? Introducing: Steamed Hams, the mod! Warning: Don't go to the skin shop, it will crash because you're playing as Skinner. Colou Truly an unforgettable mod. 10/10 would see aurora borealis again. Truly an unforgettable mod. 10/10 would see aurora borealis again. iKurt Excellent mod! Too bad it's not decompilable, I'd love to play around with the inner workings of this mod. Excellent mod! Too bad it's not decompilable, I'd love to play around with the inner workings of this mod. This is legitimately one of the best mods I have ever had the privilege of experiencing in any game. 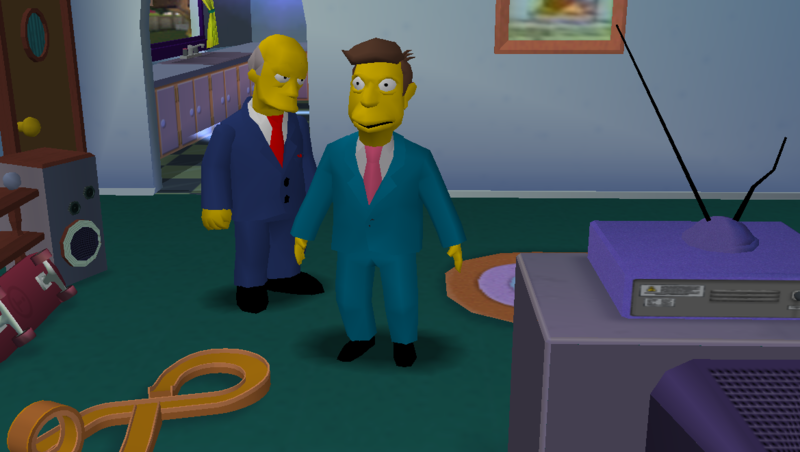 It would be cool if the tutorial mission was something like Skinner meeting up with Superintendent at Springfield Elementary and doing something, since just the Steamed Hams mission is a little short. Still, awesome work!